← Loyalty Members will receive 10% off any jewelry purchase! Please take a moment and vote for us in the Free Times Best Of Columbia // Voting ends tonight! * Voting runs from June 8 to midnight on June 24. * Only ONE vote per VALID email address will be counted. Duplicate votes WILL BE THROWN OUT. * You don’t have to make a selection in every category, but you MUST vote in a minimum of 15. Complete fewer than 15 questions, and your vote WILL BE THROWN OUT. 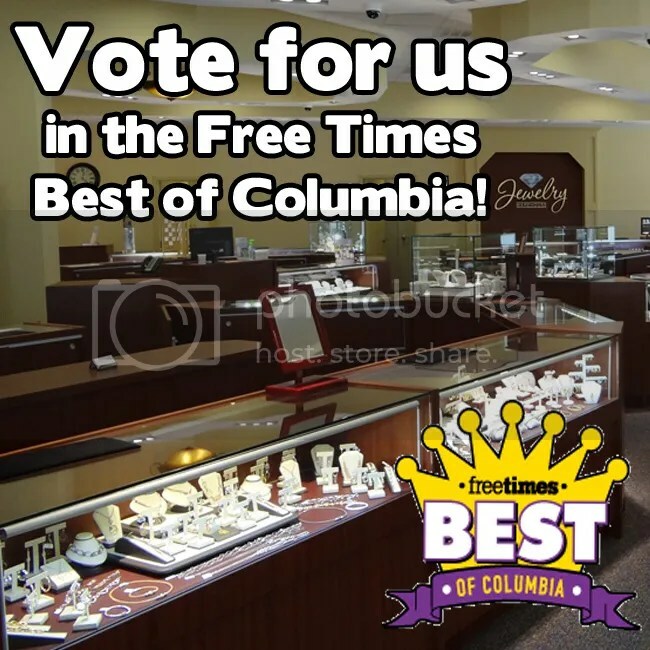 This entry was posted in Jewelry, Jewelry News and tagged best jewelry store, best jewelry store of columbia sc, best of columbia, columbia sc jewelers, free times, free times voting, vote for us. Bookmark the permalink.